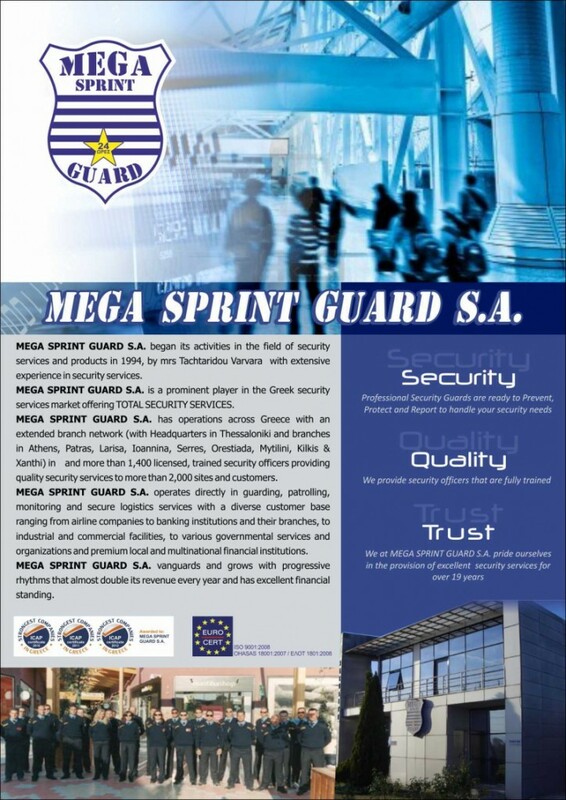 MEGA SPRINT GUARD PRI­VATE SECU­RITY SER­VICES SA with dis­creet title «MEGASPRINT GUARD SA», is a pri­vate com­pany pro­vid­ing secu­rity ser­vices and secu­rity prod­ucts purely ofGreek inter­ests. 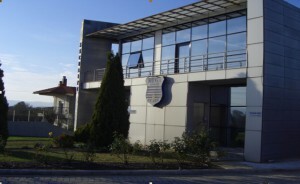 It is the merger within the pro­vi­sions of LD 1297⁄1972 (greek law), of the pri­vate com­pany with the name «MEGA SPRINT GUARD – Tachtari­dou Bar­bara M.“estab­lished in the year 1994 and the com­pany “TACHTARI­DOU BAR­BARA – PAP­PAS PANA­GI­O­TISLtd. ‘with dt. MEGA SPRINT GUARDLtd. From the begin­ning of its oper­a­tion, offer­ing its cus­tomers qual­ity prod­ucts and ser­vices, result­ing in rapidrecog­ni­tion andcon­sol­i­da­tion in the mar­ket as a reli­able and qual­ity com­pany. Result of the bid from MEGASPRINT GUARD SA qual­ity ser­vices and prod­ucts is the con­tin­u­ous devel­op­ment of the first year of oper­a­tion. Oper­ates in facil­i­ties owned 400 squaremeters, built on a plot 5,500 square meters, with plans for futureexpan­sion. It hasbranches in all major cities of Greece. Has a fleet of 40 cars, equipped with the mostmod­ern tech­nol­ogy, allow­ing it to directly andeffec­tively is, next to its customers. It has one of the most mod­ern CMS Cen­tersnation­wide for the ulti­mate safety of the prop­erty of its clients and employs expe­ri­enced, highly skilled, highly trained, uni­formed staff who act quickly and effec­tively.